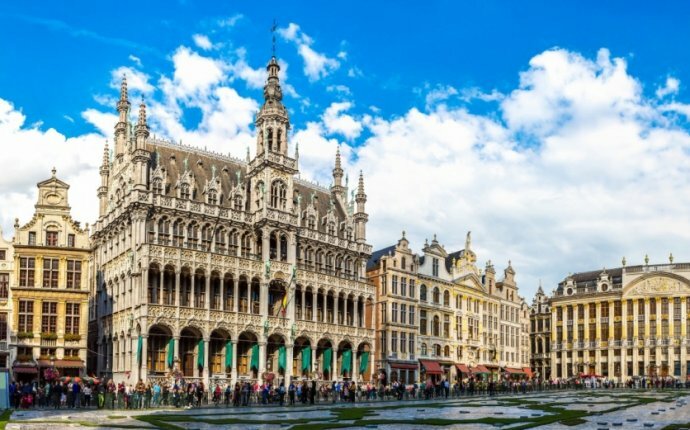 Start your day with a pickup from your centrally located Brussels hotel, or alternatively, meet your guide in the center of town. Leave the city by coach and travel southeast toward the town of Vladslo, your first destination of the day! Stop to see the German Military Cemetery of Vladslo, the most important German cemetery from WWI, and as you walk through the hauntingly peaceful area, look out for the Käthe Kollwitz sculptures Grieving Parents – a heartrending portrayal of how the war impacted people at a personal level. Continue to the small city of Diksmuide to visit the Trench of Death, a stretch of the Western Front (the trench lines from Belgium to the Alps) that now serves as a symbol of Belgium’s heroism and resistance. See the impressive Gate of Peace (IJser Gate) and Yser Tower (IJzertoren), and then leave the city, passing alongside the Peace Mill and the Canadian Monument in St Julien.Stop in Passchendaele, and see how this once chaotic battlefield has turned into a sleepily tranquil town. Sit down for a hearty ploughman's lunch in a local restaurant, and then travel to Tyne Cot Commonwealth War Graves Cemetery, where some 35, 000 soldiers from the Commonwealth forces are laid at rest. The sheer amount of graves puts the tragic scale of WWI into a semblance of perspective. Walk around and learn about the significance of this dignified site for nations around the world, not just the Commonwealth countries.Head to the Essex Farm Field Hospital next and see the impeccably preserved bunkers where John McCrae penned his famous poem In Flanders’ Fields. Hear how the soldiers were treated in the bunkers’ narrow, darkened corridors and then visit the In Flanders’ Fields Museum to learn the story of WWI in the Flanders region from an audio-guided tour. Entry to the museum is included, but you will be required to pay for a poppy as you go inside. This payment goes toward a war veterans charity.Visit Hill 60 – home to a series of strategically significant tunnels– and then travel to Ypres for some free time for dinner (own expense). In the early evening, meet your guide to attend the Last Post Ceremony at Ypres’ Menin Gate. Taking place daily, the ceremony is a simple, yet moving, tribute to the bravery of those who died defending their town. At the end of the ceremony, return to your coach and drive back to Brussels. Your tour finishes in central Brussels around 10pm.